One of the features of the Android platform is its fragmentation. 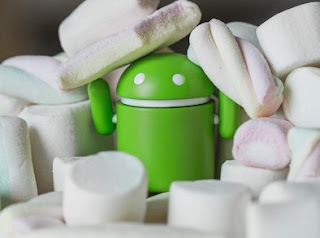 To date, some users still own smartphones and tablets based on Android Gingerbread, moreover such devices more than gadgets on Android 6.0 Marshmallow. 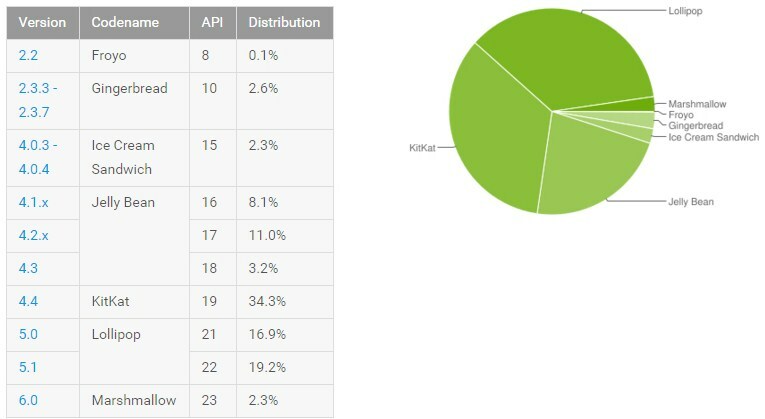 Recall that in early February on the basis of Android 6.0 worked only 1.2% of all Android-devices. A month later, the figure has almost doubled, but even so, the latest version of “green robot” can hardly be called very popular. According to the latest analytical report, the most popular version of Android can be considered Lollipop. Based on Android 5.0 and Android 5.1 has more than 36% of all Android-devices. The second place with a score of 34.4% takes Android KitKat, and closes the top three Android Jelly Bean. It should be noted that the release of the public version of Android 6.0 Marshmallow held five months ago. However, it is based on the new “OSes” works are not many devices. According to experts, the pace of the spread of Android Marshmallow losing the previous version of the mobile operating system from Google.